So it’s the London Palladium. Simple. Simple, then: it’s the London Coliseum. If we are going to include the Coliseum, what about the Royal Opera House? Showsinlondon does not mention the ROH. It’s a touch smaller than the Coliseum, but Wikipedia informs us that the ROH can seat 2,256, which places it above the Apollo Victoria and just behind the Palladium in bronze medal position. But not all sources agree. Staying with the Royal Opera House, its own website does not appear actually to state the seating capacity. The excellent arthurlloyd.co.uk website states that it seats 2,268: twelve more than Wikipedia and edging ever closer to the Palladium. The Theatres Trust agrees with Arthur Lloyd and gives the capacity as 2,268. However, the Society of London Theatre, the Industry Association for London theatres, claims 2,262. This divergence of opinion perplexed me, so I referred to the seating plan and counted the capacity myself. I make it 2,265. I give up. Showsinlondon gave us a Coliseum total of 2,359 seats. The ENO’s own website concurs. The Theatres Trust gives us 2,358. SOLT agrees with the Theatres Trust. What difference does one seat make? More than you might think…. If it were a seat with a ticket price of £70 and if the Coliseum were operating as a commercial venue staging eight shows a week, 52 weeks a year, then that one seat would generate £29,120 in annual revenue. It is not just for the opera houses that we find disagreement among sources. Showsinlondon stated the Dominion’s capacity to be 2,069. The Dominion Theatre website also states 2,069. SOLT claim 2,137. Arthurlloyd claims 2,007. Richard Andrews’ The London Theatre Guide puts it at 2,182. The wildest disagreements are found in the Apollo Victoria, the London home of Wicked. Wikipedia asserts that it can seat 2,500. The Theatres Trust claims an original capacity of a staggering 2,786, later restored to 2,500 and currently 1,524. ATG, the Theatre’s owner, states 2,034. The Society of London Theatre lists the Apollo as having 1,832 seats. The London Theatre Guide puts it at 1,524, which is identical to the Theatres Trust, but Andrews adds another 40 standing tickets. 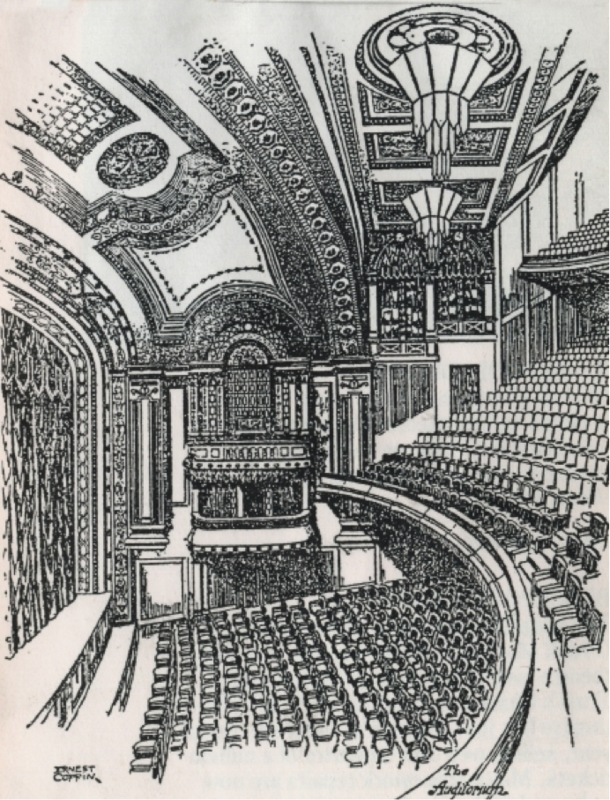 Mike Kilburn’s London’s Theatres puts 1,574 seats in the auditorium. Londontheatre.co.uk shows 2,300. On current capacity alone, our sources disagree by nearly 800 seats. We are not trying to interpret ancient sources to establish the capacity of a long-since destroyed venue, but the number of tickets available for sale today for one of the most successful musicals in London and yet finding a consistent answer is impossible! If we return to showsinlondon.co.uk’s list, we see a total of 2,208. Elsewhere on the same website, under the Apollo Victoria venue guide, they state 2,313. We don’t even find a consistent answer within one website! To complicate things further, consider seating capacity vs total capacity: some venues also offer standing places. The Royal Opera offers 123 standing tickets per performance. These are clearly tickets enabling an audience member to see the production, so why not count them? They offer as good a view as many seats; better than many seats, in fact, given that a high percentage of seats at the ROH have restricted views. I am not sure I would want to watch a six-hour Wagner performance standing up, but that is another matter entirely. Without counting the standing tickets, the ROH would be reduced to 2,139 or 2,142 or 2,145, depending on which source of total capacity you take. The capacity potential of the ROH and Coliseum is also understated due to their use as Opera venues. Opera Houses require substantially larger orchestra pits than a theatre hosting a musical. The pit at the Royal Opera can seat around 60 musicians, where a typical musical might only need around a dozen spaces. If the Coliseum were to become a theatre hosting musicals, it could probably squeeze in another three rows of seats. The front row contains 33 seats, but the rows taper as they move forward from row E and lose two seats per row. So a notional row AA might have 31 seats, with rows AB and AC having 29 and 27 seats respectively. This would add 87 more seats, for a total of 2,446. On the other hand, capacities can vary even without changing the fundamental type of entertainment offered. When staging the Ring Cycle, for instance, the ROH has to reduce capacity by turning the front of the Stalls Circle into additional orchestra pit space to accommodate the extra harps Wagner demands. However, these considerations do not only apply to opera houses. An orchestra pit for a musical typically reduces capacity by one or two rows. For houses typically staging musicals, a residency by a straight play can provide a seating upside, with the ability to add one or two new front rows. 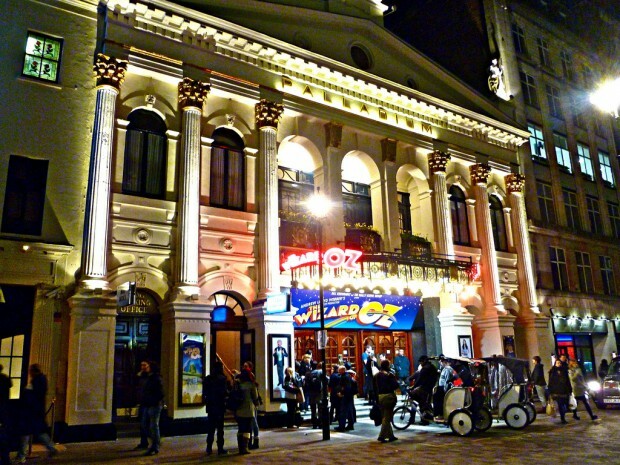 Theatres such as the Harold Pinter Theatre, which mainly shows straight plays or comedies, may lose a row when adding a pit, as they did for 2013’s Merrily We Roll Along by Stephen Sondheim. Grease at the Dominion in the 1993 housed its band on a hydraulic stage above the main stage. The band was ‘flown in’ for the overture and then moved off stage, creating both an impressive effect and extra seating due to not having to accommodate the pit in the front of the stalls. The Theatres Trust database gives cause for further confusion by stating that the Coliseum’s capacity was ‘originally 2,939’. For the purposes of this article, we shall disregard subtle alternative seating configurations of currently-used space for purely practical reasons: if we cannot find consistent information about current capacities, we are even less likely to be able to state with certainty what subtle variations have taken place over time. We shall also disregard old buildings on the sites of current buildings. The Theatre Royal Drury Lane and the Royal Opera House, for example, have both been rebuilt multiple times. We shall confine ourselves to current buildings. However, major changes to space utilisation are relevant. In considering this, we find an unexpected answer. Our seven 2,000+ seat venues have varying numbers of tiers. A glance at the seating plans shows that the Apollo Victoria and the Dominion have two; the Lyceum, three; Drury Lane, the Palladium and Coliseum, four and the ROH five (or four, depending on how you interpret the Stalls and Stalls Circle). There is, however, more to one of these theatres than meets the eye. The Dominion might look like a two-tiered theatre, but look closer and we discover a surprising fact: it has a hidden third tier. 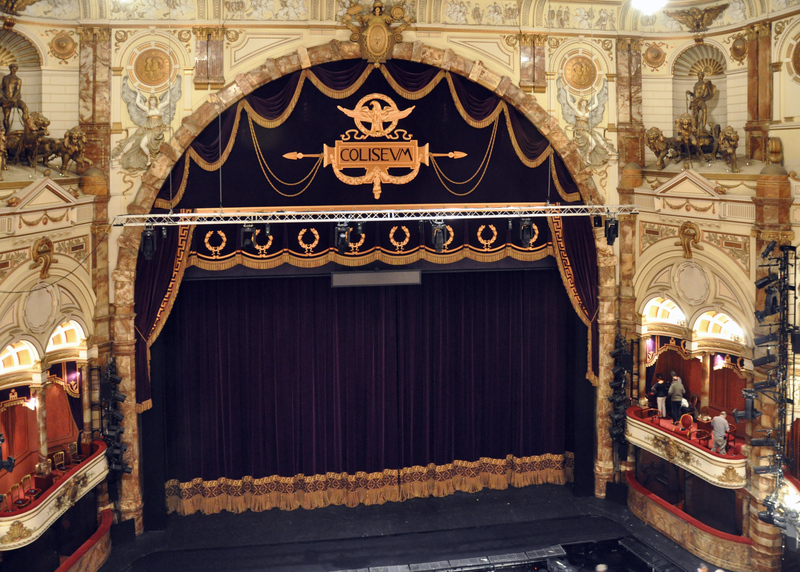 When constructed for Moss Empires in 1928, the theatre comprised of Stalls, Dress Circle and Upper Circle. “The vast Dominion Theatre proved quite unsuitable for stage presentations. Its opening production, a rather incomprehensible American golfing musical comedy aroused a storm of disapproval from the very far distant upper regions on the opening night…” according to The Theatres of London (Raymond Mander and Joe Mitchenson). It was soon converted to a cinema and later found success as a rock and roll venue, hosting Bill Hailey and the Comets. In 1958, the third tier was closed to accommodate a state-of-the-art projection box to allow it to become the cinema of choice for movie premieres, including Star Wars, The Empire Strikes Back and Return of the Jedi. In its original form, with the Upper Circle accessible, the Dominion’s capacity was 2,835. In 1940, according to the Theatres Trust, it was even higher, at 2,858. In theory, there is no reason why the Upper Circle could not be re-opened if the Dominion’s owners thought they could find a producer confident enough of selling a show with over 2,800 seats. So there we have it. The Dominion, with a little demolition work, rises from seventh place to the top of the table. The largest theatre in London? The London Palladium. Or the Apollo Victoria. Or the London Coliseum. Or the Dominion. This entry was posted in Theatre and tagged Apollo Victoria, capacity, Dominion, largest, largest theatre in london, Lyceum, most seats, opera, Palladium, seating, show business, theatre, West End by showbusinessinsights. Bookmark the permalink.